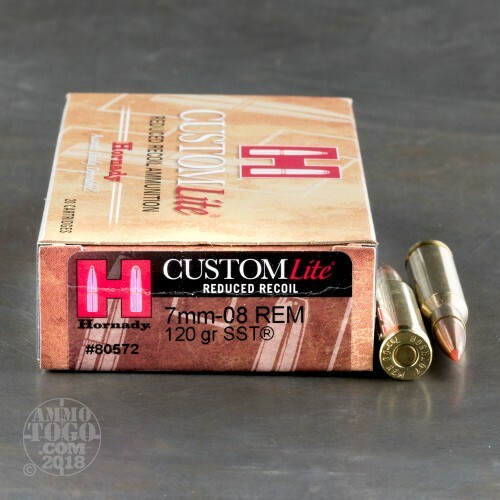 This 7mm-08 Rem cartridge is from Hornady’s Custom Lite line of ammunition. 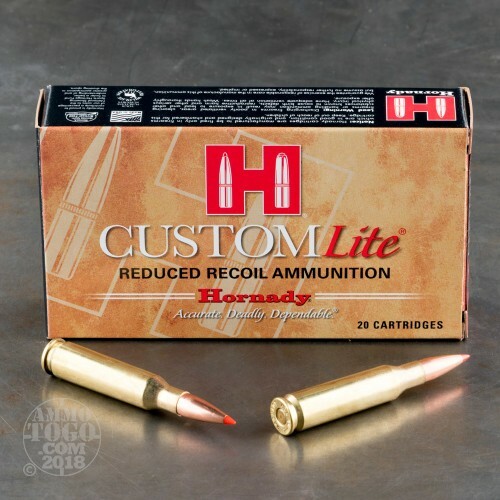 That makes it a great cartridge for children and shooters with lighter frames to enjoy, as its slightly lighter bullet and specially formulated propellant combine to deliver a noticeably softer recoil. 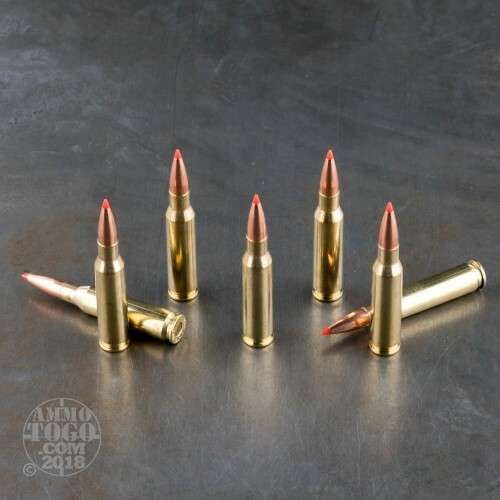 As a Hornady you can count on each of this round’s components to have been carefully poured over -- its propellant delivers the optimal chamber pressure for its caliber, its primer is non-corrosive and sure-fire, and its casing will feed and eject through your rifle like a charm. 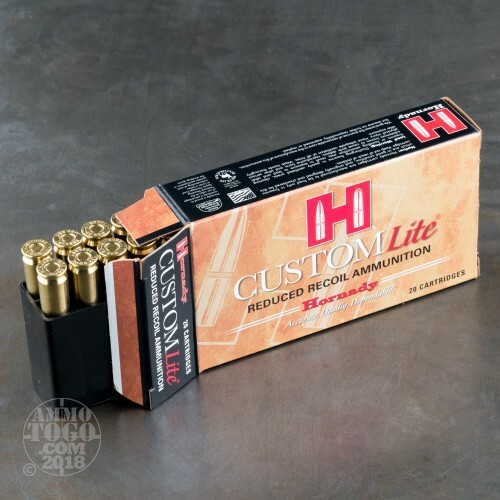 This cartridge is a fine selection for hunting courtesy of its 120 grain SST projectile. It is an accurate bullet thanks to its streamlined polymer tip, distinctive secant ogive profile, and ballistically efficient tapered base. Upon impact the SST’s tip jams inward to totally disrupt its core and jacket, creating expansion without losing weight thanks to the bullet’s InterLock ring and mid-body cannelure.